Safety is not just a word, it’s our philosophy. At Design Telecommunications we believe safety is not just a procedure to follow, but a right of every employee to work in a safe environment. Design Telecommunications is happy to provide our complete safety program to prospective clients. 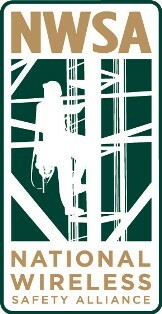 Design is a proud member of NATE (National Association of Tower Erectors) and we support and work under their recommended guidelines for the tower industry.